AFTERSHOCK SHOCK ANTHOLOGY HC - $35 for 160 pages is a pretty big investment for a book that Aftershock hasn't promoted all that well. It has some real top name creators, but it's not all that clear what you will find here. I love Aftershock, but I just can't bring myself to drop this much money on a blind purchase, even with Neil Gaiman and Jim Starlin's name on it. DOMINO #1 - I am real surprised to see Domino headlining her own solo book, especially an ongoing. But Gail Simone is a great choice for this book, so it is definitely the book I am most hyped for this week. 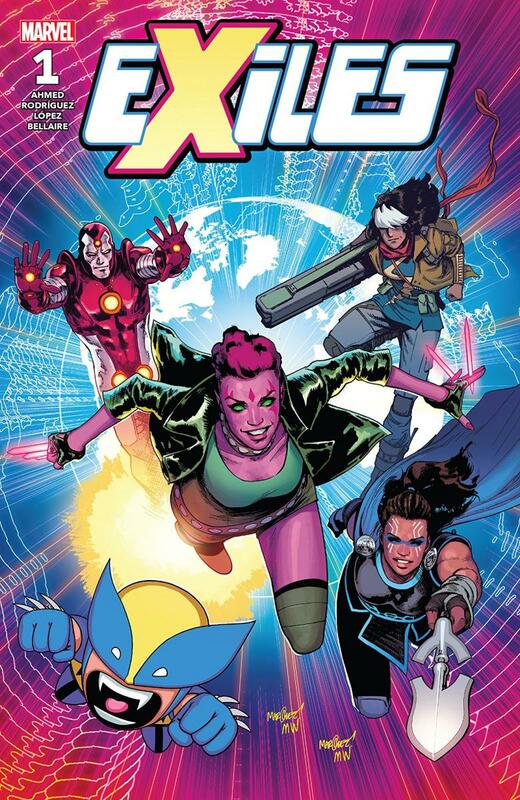 EXILES #1 - Always been a fan of EXILES, and it's great that Marvel is giving this book another shot. Hopefully they will give it some time, the last few EXILES series have been pulled away too fast, so it doesn't feel like Marvel (or the audience to be honest) is always supportive of EXILES. SONIC THE HEDGEHOG #2 - I almost didn't pick up the first issue, but I thought my son might enjoy it. And he definitely did! Nice that we get the second issue a week later. Not quite as good as the older Archie stuff, but still a fun read. GIDEON FALLS #2 and OBLIVION SONG #2 - Picked up the first issue of both of these series on a whim and loved them both. Image continues to put out a lot of really unique, smart comics, and both of these titles are worth checking out. 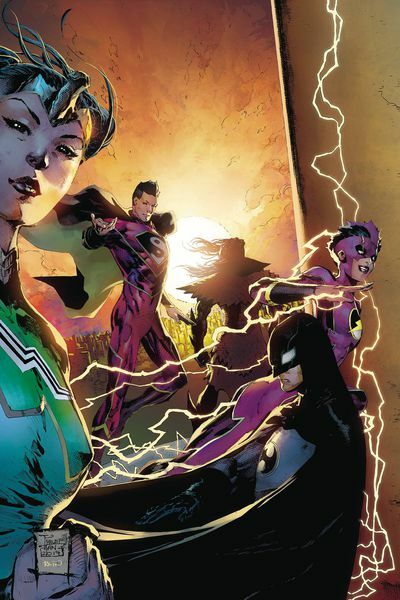 NEW SUPER-MAN AND THE JUSTICE LEAGUE OF CHINA #22 - This might be DC's most underrated title. It kind of slips below most people's radar, but DC seems to be willing to stand behind it, since it is approaching 25 issues. I love the fresh take on many of DC's classic characters, and we have even seen some of these characters pop up in other books (JLC's Flash is a mainstay in THE FLASH for example). CAPTAIN AMERICA #700 - I really enjoyed the first few issues of Waid's run, but tossing Cap into the future just hasn't worked for me. It was like when they dropped Cap in Dimension Z, these just aren't the type of Captain America stories I am that interested in reading. But happy 700th issue Cap...just in time to get relaunched with a new #1 in a few months. That's Marvel for you. CHAMPIONS #19 - New creative team takes over, and CHAMPIONS desperately needs it! It feels like I am taking cheap shots at Mark Waid this week, but that is not my intent. He is still one of my all time favorite writers. But Champions have been much more engaging to me in their guest appearances in other books than in their own book most of the time. I did enjoy the last few issues about Val Vision, but it was still time for a change. 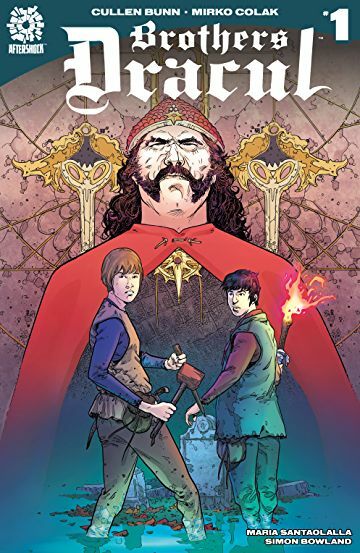 BROTHERS DRACUL #1 - Another new book from Aftershock. Kind of an origin story for Vlad the Destroyer by Cullen Bunn. I am really curious about this one!